The Patron of St. Augustine’s College, Archbishop Charles Gabriel Palmer-Buckle, has challenged the St. Augustine’s Past Students Union (APSU) to continue to blaze the trail for the continuous development of the College. 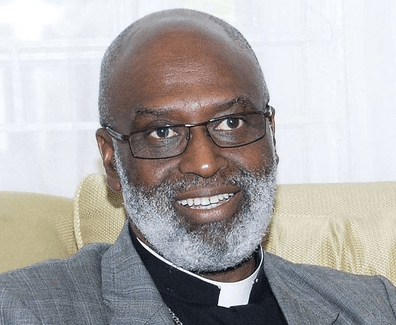 Archbishop Palmer-Buckle, who is the Metropolitan Archbishop of Cape Coast, said this when he received members of the APSU Executive Council, Central Regional leadership, and the Headmaster of the College. The team was at the Archdiocesan Secretariat to pay a courtesy call on the Metropolitan Archbishop and the College Patron, following his appointment. Dr Ernest Anthony Osei, the President of APSU, who led the delegation, welcomed the new Patron and outlined some interventions the Union had undertaken to ensure effective provision of quality education for students. Dr Osei, who is currently the Chairman for the College Board of Governors, informed the Patron about the displeasure of past students who, after making huge sacrifices into the development of their alma mata, were unable to secure admission for their wards. The APSU President commended Archbishop Mathias Kobina Nketsiah, the immediate past Patron, for his immense support to APSU during his tenure. Mr Joseph Connel, the Headmaster, briefed Archbishop Palmer-Buckle on the current situation in the College, especially the challenges it was facing and steps being taken to address them. The meeting took the opportunity to discuss other matters of interest, including preparations towards the upcoming 89th Speech and Prize Giving Day, 90th College Anniversary Celebrations and its strategic direction into the future. Archbishop Emeritus Nketsiah, on his part, applauded APSU for the huge investment it made into the College during his tenure. He said he was even more excited with the efforts of APSU, which culminated in the publication and launch of the College Reference Book, a project he viewed as an icing on the cake. The Archbishop Palmer-Buckle expressed gratitude to the delegation for the visit and applauded the efforts of APSU over the years. He said he had been keenly following with interest the strides of the College and pledged his commitment towards its continuous development. He expressed the hope that workable solutions would soon be found to the challenges the College was facing. Most Rev. Palmer-Buckle was hopeful that being the first Catholic Secondary School, St. Augustine’s College, together with APSU, would step up their efforts to spearhead the delivery of quality holistic education, which could be replicated in other Catholic senior high schools in the country. President, Eric Atta-Sonno APSU Secretary, Robert Oracca-Tetteh, APSU Organising Secretary, and George Asare Afriyie, Assistant Organising Secretary. 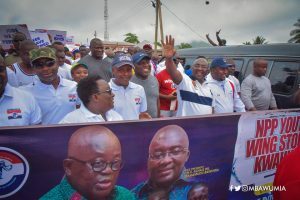 Others were Dr Lawrence Honny, the Member of the APSU National Council, and Dr Eugene Dartey, Vice-Chairman of the APSU Central Regional Branch. The post Continue to blaze the trail for holistic education – Archbishop Palmer-Buckle appeared first on Ghana Business News.